Excerpts from a videotaped presentation about the SDI (Self Directed Income) Industry by Neil Anderson with additional commentary from Tom J. Kennedy aka “Tommy UsuryFree Kennedy” and notes from other 21st Century leading authors and researchers. 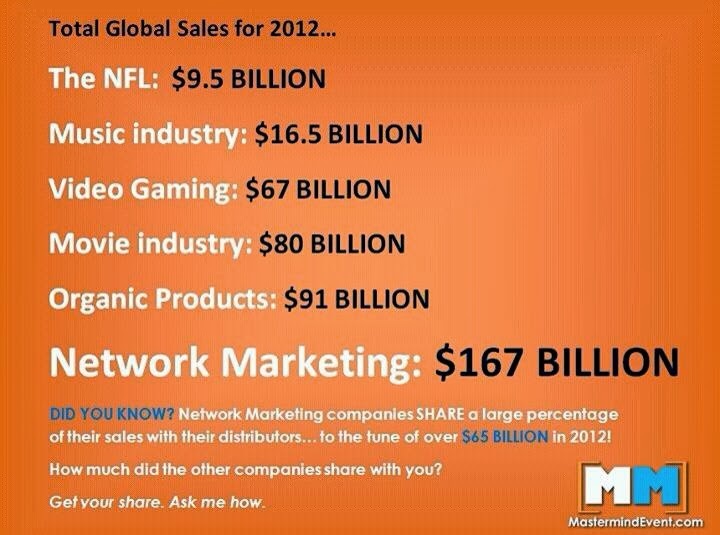 Note: The SDI industry is otherwise or formerly known as the Multi-Level Marketing or Network Marketing industry. Readers/visitors here are invited to "join" the group at Facebook titled: "The UsuryFree SDI University" - where various inspirational SDI entrepreneurs gather to "learn and teach" relevant and timely information to their respective SDI networks or organizations. On Saturday, September 16th, 1996 Neil Anderson was a guest speaker for The Cyberclass Network at Ottawa, Ontario, Canada wherein he gave his analysis, projections, observations and proposals for the SDI (Self Directed Income) industry for the 21st Century. As of 1996, Neil Anderson had 25 years experience within the SDI industry. The basic content of this article is excerpted from the video which was made on that day. I have added to Neil's analysis with my own learning experiences to enlighten those who "don't know they don't know" and who wrongly presume that in the field of SDI marketing all of the answers are connected with traditional retailing and orthodox institutions. In fact, the SDI industry is becoming more attractive to community-minded people as it offers diversity and actually has the potential to play a leading role in re-building local community. In the early 1970's Neil set a goal to earn a solid earnings from a secondary source which was not related to his full time employment. After exploring many business opportunities he chose the Amway SDI opportunity and began building an SDI Portfolio. He quickly recognized that while the quality of the products was important, ultimate success in SDI industry was dependent upon marketing the networking concept. In 2001, I set a goal to acquire sufficient earnings from my SDI Portfolio to cover my living expenses so that I can devout my time and energy to advancing The UsuryFree Resolution and teaching "universal truth" to those who are ready and willing to be "de-educated" and "re-educated about topics that formal education neglects to teach. 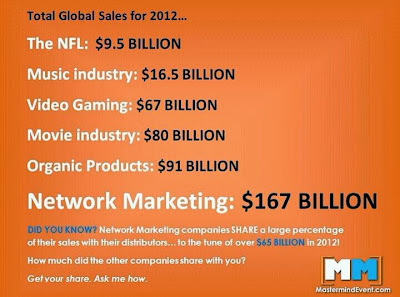 The graphic below indicates the total global sales for the SDI (Self Directed Income) industry - otherwise referred to as "network marketing" in 2012. The SDI industry is well positioned for evolution and growth as we progress into this 21st Century and with the "click of a mouse" we can re-educate those who "don't know they don't know." Neil and myself continued to study the SDI industry meticulously during the 1970's and early 1980's while each of us was actively working the Amway SDI opportunity. We both experienced the negative press centered around Amway in the early 1980's when the Canadian federal government confronted Amway of Canada with a significant tax challenge. Both Neil and myself accumulated regular earnings from one or more of the SDI opportunities during the 1980's and 1990's, in our respective SDI Portfolios, though certainly not sufficient to cover our monthly living expenses. Beginning in 1985, Neil started to develop a projected model for the SDI industry by examining who the resistors and adapters were in this fledgling marketing industry. The greatest resistors have been the institutions and corporations of the "usury" elite who stand to lose the most as this industry is embraced by the mainstream. The print media have historically tended to write negative stories about SDI failures. The electronic media likewise has tended to broadcast negative experiences about SDI companies which failed to deliver on their promises. Both the print and electronic media have seemed very anxious to focus on stories about the charlatans whose greed and selfishness have done so much harm to the SDI industry. Orthodox bankers and their ilk commonly belittle the SDI industry and spread misinformation about the "pyramid" marketing model, probably because neither the SDI companies nor the SDI entrepreneurs need or want to apply for their usury-based loans of debt money. Noteworthy companies within the the SDI industry have a reputation for being debt free and therefore "usuryfree." Neil was noticing that the SDI industry was experiencing a downward trend in the early 80's as evidenced by Amway, Herbalife and Mary Kay Cosmetics. He continued his research on the SDI industry. In all other industries of the early growth into the mainstream, a company emerges with a product or service and a strong education and marketing program that changes the image of an industry and their brand name becomes synonymous with the industry itself. Examples include: McDonalds, Ford, IBM, Microsoft, Kleenex, Xerox etc. Likewise, Geoffrey Moore in his book "Crossing the Chasm" describes the same curve related to the technology adoption cycle. I actively worked the Amway business from 1979 until 1991 BUT with the high rate of attrition and the high cost of doing business I cannot brag about any consistent earnings, though my learning curve about the SDI industry constantly skyrockets. During the 1990's and continuing to the present I have been sponsored into numerous SDI opportunities, driven by self-imposed learning and devoted to finding the one SDI company which will either make the "usuryfree" LETS software an integral part of its infrastructure or create an improved model of “usuryfree” software for its employees and its networks of distributors and their loyal and satisfied customers. Neil commented on the major shifts that were occurring in the mid-1980's as we began entering the digital economy. He explained that in 1996, 4% of the agricultural producers were creating more than 80% of the produce whereas early in the 20th Century 80% of the workforce earned a living in the agricultural industry. In 1996, 15% of the workforce was engaged in manufacturing and the projection was that this would decrease to approximately 10% before 2005. Towards the end of the 20th Century and continuing into the 21st Century the Industrial Age has been evolving through a era similar to that which the agricultural industry evolved earlier during the 20th Century. Neil explained the opportunities surfacing in the new Information Age are about equivalent in number to the jobs lost in the Industrial Age, but they are different. The Federal Government of Canada Departments often refer to this new workforce as the "contingent workforce" where financial security is becoming detached from the job. Indeed, the reality of financial security being attached to the job has been but a splitting instant in the history of economic development. In the early 20th Century any young man/woman who chose the profession of a doctor as a form of self-employment would seek a spouse, set up an office in the local community and arrange barter deals with local farmers and serve the sick - whether they afford to pay for the service or not. There is no leverage attached to such self-employment where the person simply trades time for dollars whereas within the SDI opportunity where there is significant leverage attached to a unique brand of self-employment whereby you succeed when you work with like-minded people to help them succeed. There is a definite shifting occurring from "jobs" to "incomes" and the SDI industry is leading this shift as we progress into this 21st Century. Neil pointed out that in the 21st Century we would be finding new ways to secure the necessary income(s) that were formerly attached to the job. Historically, investments have been with money and/or time. Examples of money investments are: stocks, bonds, mutual funds, real estate and RRSP's. The best examples of time investments are: pensions and business and some people consider education to be categorized as a partial money investment and a partial time investment. For 30 to 40 years we give the government a very large portion of money earned in our respective careers in "illegal" and “unlawful” taxes and the banking cartel extracts a very large portion of our monthly earnings in immoral "usury." Other amounts go to our pension boards who transfer it to the money managers who invest it in business where they hope it will be leveraged. We must understand that our money is never in the bank because at the speed of light any deposits are invested in business to grow big dividends and agree to pay us small bits of "usury" for which we are forever grateful. It is also noteworthy that commercial banks do not lend out depositors' funds to borrowers, instead they create and lend out the principal BUT they never create and lend out the "usury" portion of any loan. More details at The UsuryFree Eye Opener. Real estate is somewhat different. The entrepreneur can add value or historically there has been increasing demand for housing because of a strong economy coupled with inflation. Inflation which has been in the state of decline since the G7 leaders vowed to hold down inflation in the early 1990's. 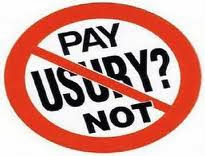 Inflation has been coming down everywhere and eventually inflation will become history as the scam of "usury" is exposed for the fraud that it really is. Free enterprise - with a new co-operative twist is where it's at in this 21st Century. 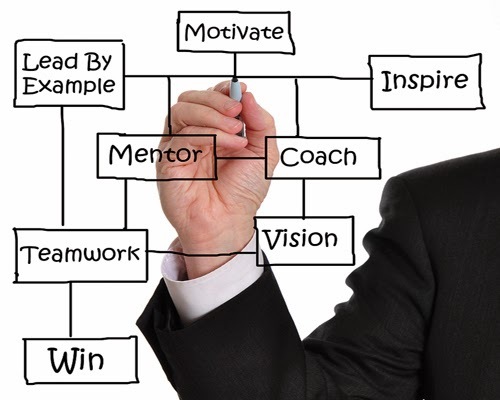 Leverage is only possible in free enterprise and the optimal form of vertical leverage is only offered within the SDI industry where people enrol to become entrepreneurs and commit to teaching others how to become entrepreneurs instead of passively accepting the role of a controlled employee who is dependent on an employer telling him/her what to do and how to do it. When people co-operate with their respective teams, work hard they will achieve success in the SDI industry, make profits and ultimately bceome successful. The key element to success in free enterprise is that other people's time is leveraged through business ventures whereby entrepreneurism is encouraged and applauded. It is unfortunate that our institutions of formal learning are designed not teach entrepreneurism to our youth. Original marketing practices from the early 20th Century clearly favoured corporations in general, and the giant retail store in particular, where there were 1000's of employees and one owner (employer) quite probably financed by some wealthy shareholders. Paul Pilzer has been writing and speaking about Ron Coase's work since the early 1990's. His books Unlimited Wealth, God Wants You To Be Rich, and The Next Trillion are definitely worthy of being shelved in any SDI entrepreneur's library. Ron Coase, won the Nobel Prize in Economics in October 1991 even though he was not an economist. He was granted the award for a paper entitled "The Nature of the Firm" which he wrote in 1931 after studying entrepreneurism in North America. He was only 21 years young at the time. Ron Coase was motivated to research why people in North America were choosing to work as employees for someone else when the United States of America was heralded as 'the land of opportunity' for entrepreneurs. In his research, Ron Coase came up with the concept of "transaction costs" - the costs of doing business such as, writing cheques, wage-slaving for governments by collecting illegal taxes, supervising workers etc. Ron Coase found out from people in the 1930's that transaction costs actually inhibited people from running their own independent enterprises. In it interesting to note that Ron Coase determined that as the firm grows so do transaction costs and as transaction costs increase so does the inefficiency of the corporation. The optimum size of the corporation was determined to be established when the transaction costs equalled the inefficiency costs. Presently, large corporations and bloated governments are prime examples of high transaction costs and high inefficiency. Ron Coase created a mathematical model with his research in 1931 and he actually predicted the evolution of giant corporations like General Motors within its 800,000 employees who are really not paid for individual performance. During the 20th Century, Ron Coase's paper become the most quoted document for those who studied the economics of large corporations. In 1991, Paul Zane Pilzer and his wife closely re-examined Ron Coase's mathematical equations and found out that transaction costs were declining as computer technology was replacing human labour. Paul Pilzer's research began questioning the ongoing existence of larger corporations in the early 1990's. Today, in the 21st Century we are experiencing significant downsizing by traditional corporations as top level executives are released with up to two year's annual salary. It is curious indeed that the stock prices of a larger corporation commonly increase some time after a massive lay off of employees. The Wall Street Journal reported on July 17th, 2001 that 900,000 people in the United States of America lost their jobs in massive layoffs and applied for unemployment insurance between January 2001 and May 2001. It is common to attribute at least 10% of that amount to Canada which would mean that approximately 100,000 would have become unemployed in Canada during this same time period. The downturn predicted by Paul Pilzer in the early 1990's is definitely happening in North America as evidenced by the job casualties of 2001. At the same time we see evidence of considerable growth of SDI (Self Directed Income) companies which have within their infrastructure not only the ability to maintain minimal transaction costs but also to foster the entrepreneurial spirit of decentralization and individualization of those who choose to become SDI entrepreneurs. A peculiar term "prosumer" which was coined by Alvin Toffler, author of "The Third Wave" can be applied to those SDI entrepreneurs who commonly engage in barter and/or trade within their respective local communities. "Prosumer" refers to those who produce (of producer) and consume (of consumer) at the same time. Therefore, active community-minded SDI entrepreneurs are commonly known to be "prosumers" meaning that they not only consume but also produce and/or distribute goods and/or services needed by any local community. Ultimately, as the SDI industry evolves through the decentralization process we will progress to opti-centralization when the design flaw of "usury" is exposed for the evil that it is, and "usuryfree" time currency becomes accepted as the local and global exchange currency of choice. The decentralization of the conventional marketing industry is being fuelled by the SDI industry. This is actually a timely preparation and it needs to be embraced as a necessary step for the future, paradigm shift of our conventional global economic system towards opti-centralization. We - the usuryfree creatives - who are aware of the power of "usuryfree" economics must ensure that the ultimate global currency is structured to be "usuryfree." This will permit everyone to experience the benefits of opti-centralization, though a new usuryfree banking industry of the 21st Century is likely to become more personalized and decentralized when 'usuryfree' time currency comes of age. This is because everyone will be able to operate their own 'usuryfree' time currency bank online independent of any centralized bank. With the advent of opti-centralization and a "usuryfree" global currency, everyone will be experiencing abundance and prosperity so local production will become more popular than foreign production. Since only true costs of production will influence retail prices, those foreign products which incur high transportation costs will not be able to compete with products and/or services produced locally. All of the former irrationality about the fears of globalization will be gone because big corporations will no longer have an advantage over small independently-owned enterprises - unless of course it is deemed to be more efficient for a bigger corporation to create and deliver the product and/or service. Though the SDI industry is playing an important intermediary role in the unraveling of the current "usury-based" orthodox economy, its role may very well be significantly altered when we are all experiencing prosperity and abundance through "usuryfree" living. In 1923, AandW opened a fast food shop with privileges and rights granted by the owner to others who were willing to follow his system. This marketing concept become known as franchising. John Willard Marriott Sr., a Mormon from Utah met a the AandW founder in Sacramento, California. When he took the concept of selling fast food and cold drinks to the Washington/Baltimore area he found out that hot foods sold better in the colder climates. Consequently, he launched the Hot Shoppes restaurant chain. J. W. "Bill" Marriott, Jr. learned the trade and worked with his father to develop the franchising concept. At one point, in the early 1950's the USA Congress came within 7 votes of declaring franchising an illegal method of marketing. Nutrilite founder, Carl F. Rehnborg first became interested in nutrition when he lived and worked in China from 1915 until 1927 where he witnessed poor nutrition among the people. As a solution, he envisioned the idea of creating plant-based food supplements to fortify the human diet. He returned to the United States in 1927 and set up a laboratory on California's Balboa Island to pursue his plant and nutrition research. By 1934 he had produced the world's first multi-vitamin/multi-mineral food supplement originally called California Vitamins which evolved to become known as Nutrilite in 1939. Carl Rehnborg wanted to dedicate his time and efforts solely to producing Nutrilite products so he came up with the idea of selling Nutrilite to some friends and while encouraging them to share their experiences with their family, friends and associates. In 1945, he developed an innovative marketing structure to advance the marketing of Nutrilite's high quality products. Carl Rehnborg is credited with pioneering the Multi-Level Marketing industry or the Network Marketing industry which is now commonly called the Self Directed Income industry by more and more active participants. From the very beginning, Carl Rehnborg armed his distributors with sales tools designed to explain the benefits of supplementation in general and the Nutrilite products in particular. In 1949, Jay VanAndel and Rich DeVoss, two young entrepreneurs from Grand Rapids, Michigan purchased a sales kit and began marketing Nutrilite products. During the early 1950's Jay and Rich often attended leadership seminars complete with tours of Nutrilite's processing and manufacturing facilities Buena Park, California as they became more familiar with this new marketing concept. In 1959, Jay and Rich founded the JaRi Corporation which was soon changed to The Amway Corporation. They adapted Nutrilite's marketing plan to create the Amway Sales and Marketing Plan. They continued to sell Nutrilite products and added the landmark household cleaner called LOC. Jay and Rich added many more household products as they grew through the 1960's and in the remaining decades of the 20th Century. Shaklee, another of the pioneering SDI companies was founded in 1956 by Dr. Forrest Shaklee and yet another respected SDI pioneer, Mary Kay Cosmetics was founded in 1963 by Mary Kay Ash. In 1964, Amway of Canada opened and in 1972 Amway purchased Nutrilite Products Inc. Carl Rehnborg passed away at the age of 82 in 1972 comforted that the Amway Corporation would continue to nurture Nutrilite's growth in the future. Amway has continued to grow as one of the respected leaders of the Self Directed Income industry. As of 1991, there were more than more than 3 million independent business owners distributing Amway products in more than 80 countries and territories. In 1999, Amway generated US $5 billion in sales at estimated retail through its global product distribution network. Update: In 2012 Amway (Alticor) achieved US $11.3 billion in sales making it the largest direct sales company in the world surpassing Avon. Amway has become to the SDI Industry what the Marriott Empire is to the Franchise Industry. During the 1970's Amway, the pioneer of this new and different marketing concept was harassed by the FTC in the United States of America. After lengthy court challenges it was verified that indeed the Amway SDI opportunity was a genuine business opportunity and not an illegal "pyramid." In the 1980's Amway was attacked by the Federal Government in Canada over disputes re: taxes. Again, Amway weathered the storm and it was not until January 1993 that it become technically legal for network marketing companies to function in Canada when the political parties made an all party agreement about the SDI marketing concept and passed it through The House of Commons. Until that time, it had not been a priority to initiate the legislative infrastructure for the SDI industry, even though many SDI companies were already operating in Canada. The SDI industry is advancing towards acceptance by the mainstream because of Amway's commitment to the concept during the latter half of 20th Century when few people were even aware of this innovative marketing phenomenon which has since evolved to a point where astute consumers now actually embrace the efficient, direct delivery of selected consumable products and/or services. Those manufacturers which are networking with the SDI companies are keen about delivering products and/or services directly to homes rather than stocking merchandise in giant retail stores. According to Network Marketing Lifestyles Magazine, July 2001 there are 1500 SDI companies and over 7 million active SDI entrepreneurs in the United States of America with thousands deciding to participate on a daily basis. 2. Business For Home during 2013 had a poll where 485+ SDI companies were nominated and the top 100 are listed at this website. Check to see how many votes your SDI company received. Driving this trend is the fact that unique products and/or services require one-on-one client education that only a trained user of the product/service can explain. An example is the various discounted long distance service companies which are widely available and less expensive than Bell Canada's long distance service. Such long distance services are optimally suited to netpreneurs working the in the SDI industry which is continually expanding. What is really significant is that the growth of the SDI industry doubled the growth of the traditional retail stores during the latter years of the 20th Century. Projections are that the SDI industry will experience a spiking growth curve early in the 21st Century - with no worry about saturation. Marketing analysts are projecting that there will be in access of 200,000 million active SDI entrepreneurs by 2010. Feedback welcomed: If any reader has found the estimated number of active SDI entrepreneurs beyond 2010 please send such information to: tom@cyberclass.net so that the information can be added in this article. We have come a long way indeed since 1000 AD when employees first tasted independence. Until that time the boss actually owned the employees. In 2001 and beyond, the (Entrepreneurial) E-Generation - typically those between the ages of 18 and 30 do not want any boss telling them what to do. Together, this E-Generation, accompanied by women of all ages will create the predicted spiking growth curve for the SDI industry. This is because women network well in their respective circles of influence. Women tend to work not only with other women but also with men and their children while historically men tend to associate with other men of their peer group rather than with women and/or youth. Improved communications will likewise facilitate the growth of the SDI industry which is thriving because of its movement towards decentralization and the reality of more and more people aligning with the purpose of individualization. With the introduction of 'usuryfree' time currency people will be empowered to operate their own 'usuryfree' time banks online thereby decentralizing the banking system. Both the concept of decentralization and individualization are fostered by SDI entrepreneurism. Let's explore more about the decentralization and individualization of marketing during the 20th Century - from giant retailing to franchising to the SDI (Self Directed Income) industry. One of the first major shopping centres in North America was almost forced out of business because they permitted their stores to sell merchandise below the suggested retail prices. Such is the challenge to change human habits in regards to shopping rituals. These giant retail stores which commonly dominated retail marketing during the 20th Century commonly were centrally owned by one person or one family. They employed multiple thousands of people following the model predicted by Ron Coase. This is an example of centralization of the retail industry which only began the evolution towards the decentralization process with the introduction of franchising by the mid-20th Century. 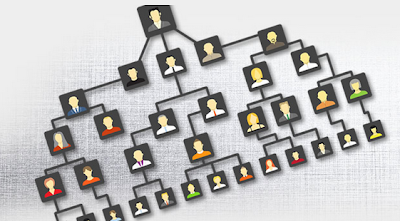 Franchising still maintained varying degrees of centralized control whereby the franchise entrepreneur dictated that the owner/managers of the franchise follow their respective system. Franchising did however, offer the opportunity for more people to become business owners - if they had accumulated sufficient wealth to purchase the franchise. Management began to become more decentralized as franchising evolved. Those people who understood goal-setting as having a goal to get to work on time so that the boss could tell them what to do excelled for the franchise owner/managers. The franchise owner/managers likewise excelled at taking orders from the their respective franchise bosses as they had learned to take orders in their former jobs as wage-earners and earlier they had learned to take orders from our system of formal education which is often more concerned about conditioning and disciplining than it is about learning. With the introduction of the SDI industry whereby the concept of network distribution was implemented we see the management style further decentralized whereby everyone becomes an owner of their own independent enterprise. Owners of an independent SDI enterprise like to view themselves as not having to answer to a superior or a boss. However, one complaint is still common within networking circles of SDI entrepreneurs. That complaint is that the fine print on the contracts of the "home office" of too many SDI companies still seeks total control over its leading distributors, threatening them with "termination" if they enrol with another SDI company to offer other unrelated but high quality products and/or services to their loyal network of trusting consumers. Is this restrictive policy of "control" really necessary in the true sense of "free enterprise" OR is such policy evidence of a crafty and selfish tactic by the "home office" of the SDI company, so that the SDI entrepreneur is compelled to devout all of her/his time to promoting the products and/or services of the one "home office" of the SDI company that s/he happened to be enrolled with first? Just asking! Though the SDI industry permits everyone to become the CEO of their own enterprise for the first time history, many people do not achieve success as an SDI entrepreneur because they expect a boss to tell them exactly what to do just as they are told what to do as wage-earners. The greatest downfall of the SDI industry has been the high rate of attrition. The cause of this high rate of attrition is directly linked to the wage-earning or employee mentality of expecting a boss to tell one what to do, when to do it and how to do it. What is needed is an opportunity for potential and currently active SDI entrepreneurs to attend courses of study at an SDI University - either online or at a physical location to learn how to become an effective SDI entrepreneur. All industries go through three distinct stages of growth and the SDI industry is no exception. Though some researchers may come up with slightly different percentages re: the rates of growth, I am using 3% to identify the first stage, 15% to represent the second stage and 75% to 80% to recognize the third stage. The first stage is commonly called the "good news cycle" since exceptional marketing ideas are considered newsworthy. The SDI entrepreneurs who are active in this first stage are true innovators and some even become zealots and oversell their respective opportunity and/or products and/or services. Such action creates false expectations which are often not lived up to and this leads to a bad news cycle. After the bad news cycle passes, the SDI industry will move on to the second stage where there will be approximately 15% market penetration. It is during this second stage that the essential marketing infrastructure is built as the true builders solve any problems that arise. As we enter this 21st Century, the SDI industry is just moving towards this second stage of growth. When the infrastructure is solid, the SDI industry will move on to the third stage of approximately 75% to 80% market penetration. It is at this stage that the former skeptics get on side as diversification now offers additional opportunity and competition creates an almost universal awareness so that almost everyone will not only know about the SDI industry but will actually seek to become an active SDI entrepreneur to earn income from an SDI Portfolio. Let's explore how some other industries moved through these three marketing stages. In 1983, one in eight households had a computer at a time when Commodore was looking like a leader. Then the high tech shakeout began and it did not end for a very long time. The Apple 2 computer entered the market at the beginning of Stage 2 of the computer industry when about 15% of the people were aware and interested in purchasing a home computer. Macintosh evolved but did not take the lead into the third stage. Finally Microsoft became the leader by making the software industry its client as the computer industry entered the third stage where approximately 80% of the population are aware of and/or using computers. It is worthy of note that in 1983, 3% of the people were ready and anxious to purchase their first computer. As the group approached the 15% many expressed a desire to see spreadsheets and other proof of enabling structures while those at the third stage whereby 80% would become active participants within the computer industry still remained skeptics and considered computers a threat to our society. Another interesting industry wherein one can observe the three marketing stages is the auto industry. In the early 20th Century those 3% who were the innovators drove their new vehicles in circles around oval race tracks. Very soon 15% saw the potential but they saw the need for roads, service stations, etc. as infrastructure essentials. During these first two stages of marketing autos, the skeptics who made up the 75 to 80% group, the third stage were adamant that they would never drive one of those horseless carriages. They bragged that their horses would never run out of gas. Then along came Henry Ford claiming that he could make an auto which his employees could afford to buy and very quickly the automobile industry moved to its second stage where more and more people wanted a vehicle. Henry Ford told his workers that they could have any colour of car that they wanted as long as it was black. General Motors became a fierce competitor and later the Japanese auto makers found their niche in the auto industry as it advanced to the third stage where there is general acceptance and genuine need for the product and/or service. All industries go through this shift of perception as the product and/or service becomes accepted by the mainstream. Historically, the leaders of the respective industries at the 3% stage are not the leaders at the 15% stage nor the 75 to 80% stage. Consider that Henry Ford entered the auto industry at the 15% stage just as Apple entered the computer industry at the 15% stage and Xerox entered the fast copy industry at the 15% stage and MacDonald's entered the fast food industry at the 15% stage. In the SDI industry Amway has been the leader at the first stage but Amway is unlikely to remain the leader at the SDI industry moves towards the 15% stage, though Amway will remain steadfast and become a noteworthy competitor at the 75% to 80% stage. 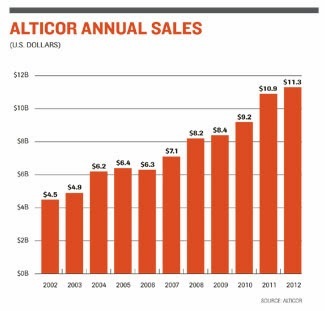 Update: Surprisingly, Amway (Alticor) is still the leading SDI company with $11.3 billion in annual sales in 2012. As the SDI industry moves towards the second stage of growth, companies in the telecommunications and/or the green industry and/or the health and wellness industry seem to be well positioned to lead the way as they blend person-to person marketing locally and globally with advanced internet technology services while outsourcing their respective delivery systems for selected products. Upon examining the leaders of the various industries which have entered the marketplace at the 15% stage it becomes clear that they enter with three distinct characteristics: (1) increased capability (2) increased reliability and stability and (3) reduced costs. Within the SDI industry, increased capability translates to increased dollars in the marketing plan while increased reliability and stability is defined as better payouts in greater depth. Reduced costs are self explanatory. As the SDI industry advances to the second stage it demands that the leading SDI entrepreneurs professionalize the industry whereby educative advertising and quality training become the landmark characteristics of the industry. Just as MacDonald's created a "Hamburger University" in Chicago because one did not exist for the fast food industry, any would-be leaders in the SDI industry must create the SDI University because it does not yet exist. This is necessary because what is required of the SDI entrepreneurs at the 15% stage and the 75% to 80% stage is very different than what has been provided by the network marketing leaders at the 3% stage. In fact, one can visualize multi-level marketing and network marketing as being at the 3% stage of the SDI industry, while referral marketing and/or affiliate marketing are noteworthy at the 15% stage. Question: One wonders when the term "SDI industry" will replace (a) Multi-Level industry and (b) Network Marketing industry? Recompense marketing may very well become commonplace at the third stage of the SDI industry when 75% to 80% of the population are fully aware of the concept. This may well happen before 2020 and then we will no longer have to explain the industry as everyone will want to be an active participant. Recompense is defined by Webster's Dictionary as "an equivalent returned for anything given." Recompense marketing occurs when one person refers another person to quality sources of products and/or services and gets paid a commission every time that the referral makes a purchase from the source. An new example of recompense marketing is when a person buys a membership card and shops at a particular community enterprise repeatedly. The person who recommends the product and/or service and offers to sell the membership card is recompensed for every future purchase because s/he cared enough to share pertinent information. Recompense marketing within the SDI industry offers every participant great leverage and leverage is the greatest tool that the SDI industry has to attract multiple millions of participants in the 21st Century. People may commonly decide to buy business positions in several SDI networks BUT choose to actively build only one or two SDI opportunities within their respective SDI Portfolios. Some people will make a one-time purchase of a non-depreciating asset such as jewellery, become a satisfied customer and qualify for legitimate business deductions. By recommending their products and/or services to others they can guarantee themselves significant part-time earnings. Other people will earn solid sources of secondary income(s) by agreeing to set up a home-based enterprise to market selected products and/or services such as alternative health products, telecommunications services etc. by making purchases of non-depreciating assets and/or regular consumables. Likewise, they will purchase these products and/or services on a regular basis from their own enterprise and recommend them to others thereby qualifying for the legitimate business deductions when they file income taxes - if indeed they are still filing. This trend of alternative shopping from the home will continue to grow and be driven by the concept of re-building community while the giant retail store industry will hit the skids as we progress into the 21st Century. The barter/trading industry which promotes negotiating trades with a "usuryfree" community currency could very well be the glue that will bond with the SDI industry to re-build local communities which deteriorated greatly during the 20th Century when we mistakenly gave our trust and money to institutions and giant corporations whose leadership no longer commands loyalty because they are intent on playing in the unfair and immoral "usury" game of debt money economics. People are becoming less committed to orthodox institutions and corporations. The institutions are not delivering what the people expect and since the corporations are not giving the job security the workers are no longer giving loyalty. The respected social contract of working for an employer is in jeopardy. People now prefer to be loyal to smaller entities in their respective local communities. Update: Akela Inc. is an Ottawa-based software company specializing in digital, loyalty program solutions. Akela Inc. was launched in the fall of 2013. The Akela system revolutionizes the concept of retail loyalty program management by replacing those traditional plastic loyalty cards with a multi-vendor, smartphone-based e-card system. Any consumer can sign up as an Akela member by downloading and registering the free Akela smartphone app, which displays a high-resolution, scannable barcode directly on the user?s smartphone screen. Readers are invited to consider how SDI entrepreneurs can use the Akela digital, loyalty program to enhance their respective home-based enterprise(s). Loyalty is really about allegiances and loyalty when tested is failing within the traditional, orthodox structures. Now loyalty is being tested and succeeding within a new model whereby people in local communities expect their mutual benefit from exchanges. SDI entrepreneurs are adept at building loyalty among their customers as they know their products and/or services from being their own best customer. The SDI industry in co-operation with the barter/trading industry is positioned to better serve smarter and more demanding customers within the respective local communities. Robert Passikoff, the president of Brand Keys, a customer-loyalty research organization says: "A satisfied customer has to do with the last transaction. A loyal customer has to do with the next transaction." The marketing power of merchandising in local communities is magnified by adding the element of bartering and/or trading with others. The ideal method to maximize local trading is to get to know one's neighbours and build a database whereby each household and/or small community business lists the contact details of its residents who can double as entrepreneurs. Additionally, a list of their talents, skills, products and/or services that can be offered in exchange for products and/or services requested is prepared. Each person is cautioned to request cash to cover any wholesale costs in federal "usury-bearing" dollars and to agree to negotiate a portion of "usuryfree" community currency for the profit margin. As long as people know they can spend the "usuryfree" community currency for their needs and/or wants they will accept it. Any local merchant will be happy to share their profits from any customers who are referred by SDI entrepreneurs who will reciprocate by sharing their profits with the local merchants who make referrals to them. The twinning of the SDI industry with the barter and trading industry will create more profits for all who participate as well as promote loyalty in the local community. As local residents and merchants catch on to the "bonding" that is being created within the SDI industry they will see the potential of new sources of monthly residual income by encouraging their existing customers to participate. Learn how to set up your own "usuryfree" time currency account for online trading. As the SDI industry evolves through the second and third stages of growth, there will be plenty of competition at the product and/or service level but not at the network building level. There are only potential clients (retail buyers) and/or free enterprisers (wholesalers who double as buyers and sellers) in the world's six billion population. The SDI industry may very well be experiencing saturation at the 3% level, the potential market is the 90% of the people who have never yet heard of the SDI industry. Education and advertising must be developed for the SDI industry to advance beyond the 3% churn. The SDI entrepreneurs need tools of education, training and communication so that as self-imposed leaders they can optimally multiply what they learn. The first SDI company to create quality education and build public awareness outside their respective SDI network will likely lead the way towards the second stage of growth. Training which is internal to the respective SDI networks likewise must address the necessary shift from a wage-earner mentality driven by a boss to self-driven entrepreneurial mentality as we approach the 15% marker of the SDI industry. The SDI professional entrepreneurs must set themselves apart from those who just want to buy a business position in any network. Some will be consumers and provide referrals and that's it. The stockbrokers' industry went through this cycle in the latter years of the 20th Century whereby a few began to acquire some specific skills and excel at what they were doing. The more skilled stockbrokers set out to distinguish themselves from those who were not professionals. The financial planners' industry did likewise as did the insurance industry. Just because a person has money in the stock market and s/he reads the financial pages of the newspaper does not make him/her a stockbroker. Similarly, just because a person buys a business position in an SDI opportunity and s/he consumes the product and/or service dies not make him/her a professional SDI entrepreneur. The SDI industry needs leaders and co-operation from corporate teams who understand how to structure self-directed programs that will continually evolve and grow as our numbers increase exponentially. One of the keys to success is simplifying the communication process whereby one stays in question mode until all objections are overcome. Indeed, the SDI entrepreneurs of this 21st Century, are creating a new marketing (retailing and/or wholesaling) trend which builds community while improving the physical distribution of products and/or services. The SDI industry is destined to become the fastest-growing marketing concept of the 21st Century. SDI entrepreneurs live in every local community and they have the capacity to facilitate the purchase of unique products and/or services as well as the common products and/or services that have been sold through mass-merchandising. Once a satisfied customer tries a product and/or service and has a positive experience s/he typically becomes a loyal customer and tell others about their positive experience(s). This is because new and/or unique products and/or services require one-on-one customer education that only an experienced user of the product and/or service can explain. The SDI entrepreneurs are well positioned to advance intellectual distribution since they are the optimal prosumers of their selected products and/or services. Examples of items that require one-on-one education are alternative economic services, telecommunications services, health and nutritional products, alternative energy and green energy products and/or services etc. It is to the advantage of the SDI entrepreneurs that the giant retail industry is failing miserably in regards to person-to-person marketing. Individualization and decentralization means that more and more people will be attracted to the SDI industry. In a sense, what many people are experiencing is "freedom adolescence" whereby people are feeling younger when they are able to throw off the yoke of "usury" by earning sufficient secondary earnings to pay off their debts and thereby avoid being saddled with "usury" payments in the future. The SDI industry is working in this 21st Century. NOTE: The UsuryFree Eye Opener - a popular blog with 800+ postings (as of the fall of 2013) where every day 2500- 3000 visitors from all over the world come to read and share the information. On January 11, 2014, the UsuryFree Eye Opener celebrated one million (1,000,000) visitors. Update: As of November 2014 there are 894 postings at The UsuryFree Eye Opener where between 12,000 and 16,000 visitors come from all over the world every day to read and share the information. On November 5, 3025, the UsuryFree Eye opener celebrated six million (6,000,000) visitors - making 2014 a year of high growth from 1 million to 6 million. Likewise, the SDI industry is expected to take a leading role in the decentralization of the banking system with 'usuryfree' time currency as the ultimate trading token. Readers are invited to read this article "Life Without Usury" to fully appreciate that indeed the experience of "usuryfree living" is possible once again in this 21st Century. I look forward to astute SDI entrepreneurs taking a leading role in helping to usher in a new age of usury free living for everyone on planet earth. In November 2014, MNU (Marketing and Networking University) was birthed. This online University offers a very professional website with numerous educational resources for SDI entrepreneurs as well as a lucrative, SDI, business opportunity. More details are offered in this article titled: "Introducing MNU - Marketing and Networking University - The Optimal SDI Opportunity." 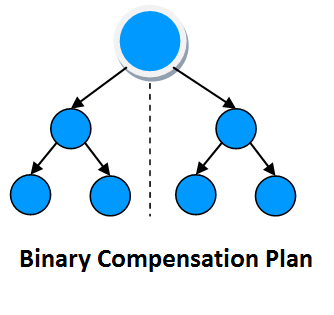 NOTE: The Binary Marketing plans is emerging as the most popular sales and marketing plan within the SDI industry. Brilliant post, Tom. You are on the money, and obviously ahead of your time. We'll be sharing this one throughout our network, and using your analysis in our presentations. Great opportunity for people who are looking for part time or full time jobs online. Work from home, set your own hours, be your own boss & no experience required.